> Big thatch on the beach, lots of hammocks inside. I’d go there to chat with my neighbor, a hotel owner. 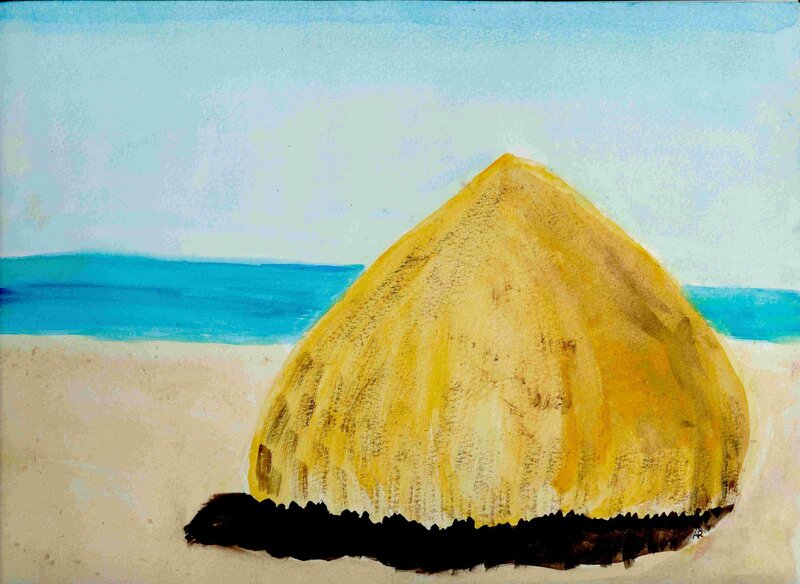 This entry was posted in From my Archives, Peace Corps Belize by Alanna Randall Beckwith. Bookmark the permalink.